Would you pay an entire day's wages to vote in an election? Why or why not? Do you think people should have to provide proper identification and proof of citizenship to vote in an election? Why or why not? In the article, Lena Carr says a lot of young people don't realize what people in previous generations had to go through to vote. Do you agree with Carr? Why or why not? According to the article, Texas Attorney General Ken Paxton said that the purpose of that state's voter ID law was "to protect the voting process in Texas." How do you think requiring a particular type of identification would do that? 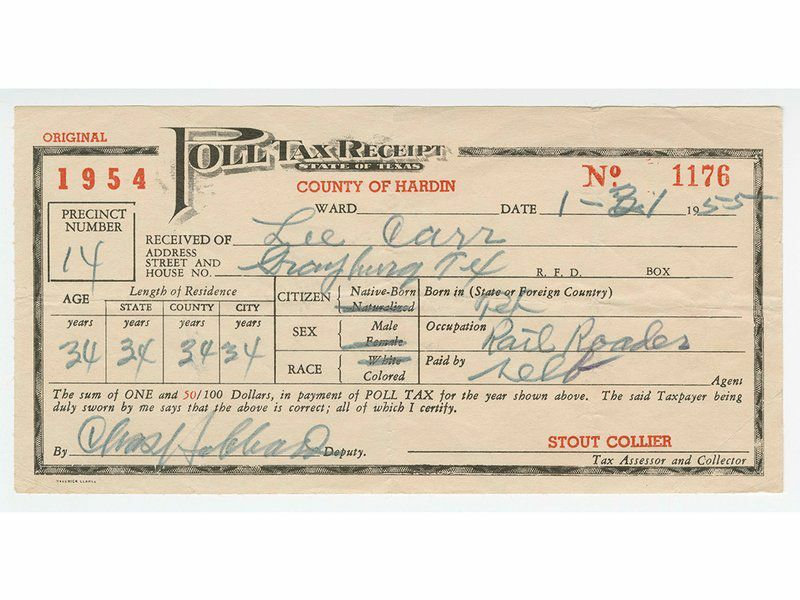 Do you agree with former U.S. Attorney General Eric Holder that the law is a poll tax? Why or why not? In this teacher-created lesson from the Cooper-Hewitt, Smithsonian Design Museum, students discuss and debate the effectiveness of methods used to resolve civil issues in the past, identify current civil issues in their school and propose solutions to those problems in an essay. In this lesson from the National Museum of American History, students apply lessons learned from analyzing advertising messages and techniques to create their own advertisement/design that will inspire youth to exercise their right to vote. This interactive website, provided by the Smithsonian American Art Museum and the Smithsonian National Museum of African American History and Culture, offers fresh ways of teaching about the Civil Rights Movement by making connections between history and art. Should the Constitution Be Scrapped? Read this Smithsonian article to learn why author Louis Michael Seidman thinks that arguing about the constitutionality of laws and reforms is the cause of our harsh political discourse. Use this Smithsonian lesson to introduce students to the office of the presidency and the informal process of electing the president. Students will examine political campaigns, political parties and the Electoral College.